We hope you didn't miss these inspiring and informative virtual speakers. Rising-star young bloods and seasoned pros provide their tips for success and share their stories about launching their careers. It's all virtual, and all to help set you up for success in your own career. On our closing day, we announce the winners of our Creative Challenge, and close off the week with one of our star speakers -- Brad Monk of Central Station, who will give you the Dos and Dont's of job search -- from the viewpoint of a CD who runs his own major agency and has won every major award. Join us right here at the time scheduled. See below for what's on. For live webinars, be sure to register to receive the login information. And don't worry, if you do miss a speaker, scroll to the bottom of the page to watch or listen in now. congratulations to the cash prize winners: Design - Anna Lin, York U/Sheridan & Advertising - David Ratcliffe, Humber. be sure to Listen in for all the winners. WHAT SPEAKERS DID YOU MISS? Details: Marvin Veloso did all the right things for a student about to graduate – and it paid off big time. Facing the challenge of finding full-time work as a graphic designer, Marvin put himself out there in all possible ways: entering awards contests, joining the RGD, volunteering at industry events, and taking every opportunity to network. One week after Marvin’s award-wining entry was published in Applied Arts Student Awards Annual, he got a call from a well-known agency. They saw his work, they called him in, and he was hired. Llsten to Marvin share his lesson learned: 9 parts effort + one part luck = your best chance at getting a job after you graduate! Moderator: ANN URBAN - Professor, OCAD University and Principal & Creative Director, Urban & Co.
"Working for television and movies, you're able to showcase your work to a large family audience. It is always rewarding to hear from a parent how much your work has positively influenced their children." "What I love most about my job is that I get to help entrepreneurs, small businesses, and innovative companies figure out how to build awareness and grow their sales. We feel like we have a real impact on these businesses every day—and that's really satisfying." "This industry is more than just a job. 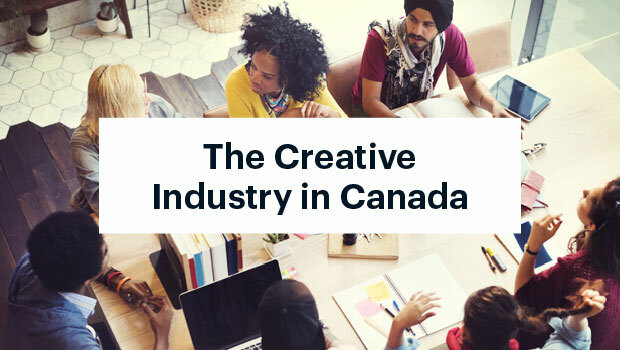 A healthy creative industry facilitates people to keeping doing what they’re passionate about and also creates a community that leads, inspires and also support others." "What I love most about being an illustrator is being able to bring my most wild imaginings into my work on a daily basis. How many jobs make that possible?" "There's no other industry that better pairs problem-solving with adding beauty into the world. I get to answer the question "how do we make this tell a story AND look good while doing it?" and there's nothing better, to me, than that." "I’m never bored. On the surface, that sounds like a weird thing to love about your job, but it’s important. When you’re bored, you feel discouraged, depressed and uninspired. That’s why it’s great to wake up every morning and go to a job that’s always challenging you with fresh projects — it keeps you on your toes." "The more I learned about advertising—its culture, people, and influence—the more I knew it was for me." © 2018 Applied Arts Inc. All Rights Reserved. ศัพท์พนันบอล - ศัพท์พนันบอล Terms & Conditions. Developed by ศัพท์พนันบอล Grafika Designs a ศัพท์พนันบอล Montreal Web Design company.